We will be teaching at a Natural Building Workshop this summer nearFountain City,Wisconsinat Kinstone. We will teach an intensive three day session which will include the building of a cordwood chapel. Classroom sessions will cover all aspects of cordwood construction. Hands-on cordwood wall building with random log placement, insulation options, mortar mixes, and proper tuck pointing techniques will be emphasized. As the walls rise, stained-glass, bottle ends and windows will be added. 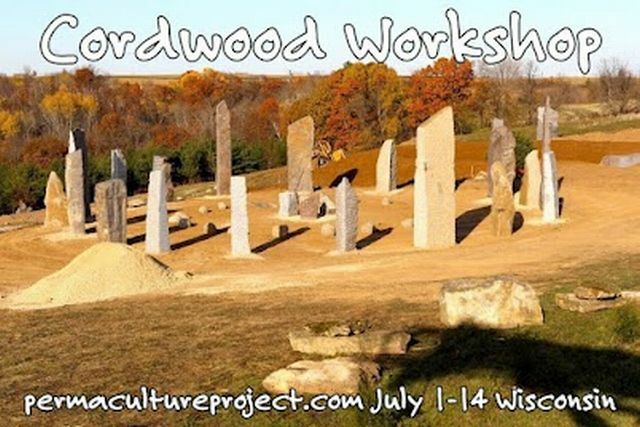 The cordwood portion will only be part of the workshop. Wayne Weiseman of The Permaculture Project (permacultureproject.com) and Cliff Davis of Spiral Ridge Permaculture (spiralridgepermaculture.com) will be leading the class through natural building techniques. Deanne Bednar of the Strawbale Studio (strawbalestudio.org) will teach a 3-day intensive thatching session as well. A rubble trench foundation will be installed during the first week of the workshop and the building will be framed and the chapel roof thatched with locally available natural materials. Kinstone is being transformed with a permaculture plan and has an inspiring set of megaliths and a stone circle. This is a vibrant and dynamic site that will illustrate to attendees what transpires when working harmoniously with nature. Registrants can choose their level of involvement by signing up for the entire two weeks or by choosing the first or second week. Details about the workshop are listed below and more information and registration forms are available at the following links. 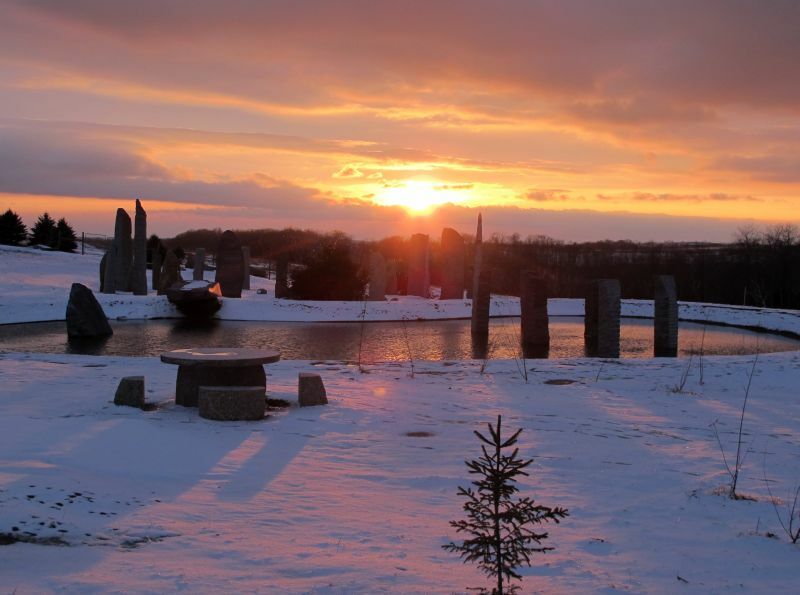 The stone circle and pond at Kinstone at sunset.